Northern Pulp is trying to calm the fears of fishers along the Northumberland Strait by meeting with them behind closed doors about its proposed pipeline. Northern Pulp has proposed a plan to pump effluent, or mill wastewater, into the Northumberland Strait by using a 10.5-kilometre pipe, which has fishers in the area concerned. The province ordered the current treatment facility to close by January 2020. That was a promise made to the Pictou Landing First Nation, which sits next to the facility. 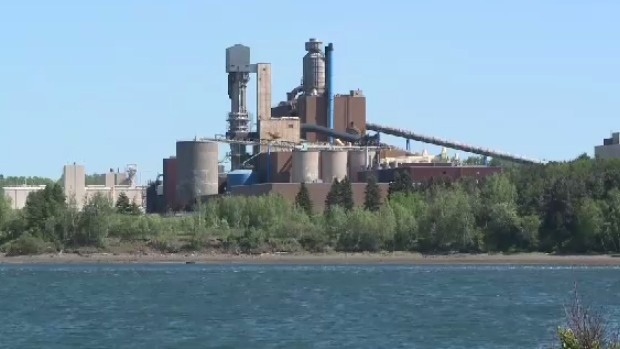 Northern Pulp started consultations Monday and is promising a transparent process. "You open your books and you show them exactly what you're doing. You listen to their concerns and you try to address them as best you can,” says Guy Martin, a consultant for KSH Solutions. “There's always going to be disagreement, but those disagreements if you're open and honest about what you're doing, they usually can be addressed." But before Monday night’s stakeholder meeting even got underway, a protest formed outside. “It's a huge concern to all our fishermen. There's 1,288 fishermen on P.E.I. and we're all concerned about this,” says lobster fisherman Charlie McGeoghegan. “It's 2017. There's got to be technology that is capable of treating it, or not having it go in the strait at all,” says Pictou fisherman David Scanlan. 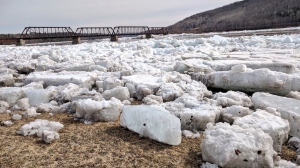 Corinne MacKeil of the Friends of the Northumberland Strait organization says there are too many unknowns about what the wastewater could do to the fishery. "I grew up in Pictou my entire life. The mill has always been an issue. There's never been a lot of trust there with the mill,” says MacKeil. The Northern Pulp mill has operated for 50 years and employs about 340 people. It affects more than 2,000 indirect jobs. But many say the fishery is the foundation of the community, with thousands working in Pictou County alone. Northern Pulp is trying to calm concerns, asking people to send in questions or comments online. 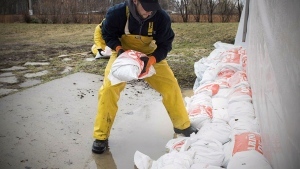 The company is looking to get environmental approvals by this time next year, putting the new treatment plant and pipe in place by fall of 2019.